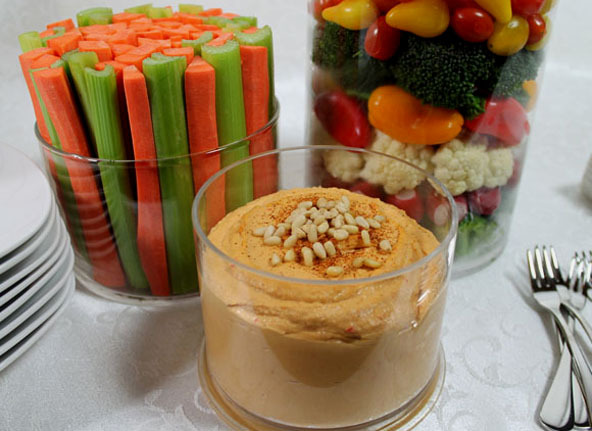 Hummus is full of whole food goodness and easy to make. Open the cans of chickpeas (garbanzo beans, drain and rinse through a strainer. Add the chickpeas and all the rest of the ingredients into a food processor and blend together until smooth. Add more red bell pepper or some water if it is too thick. 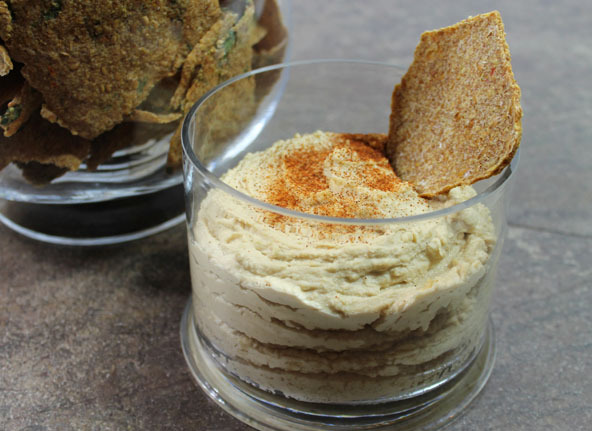 See recipes for the flax crackers and salsa shown in the above photo. 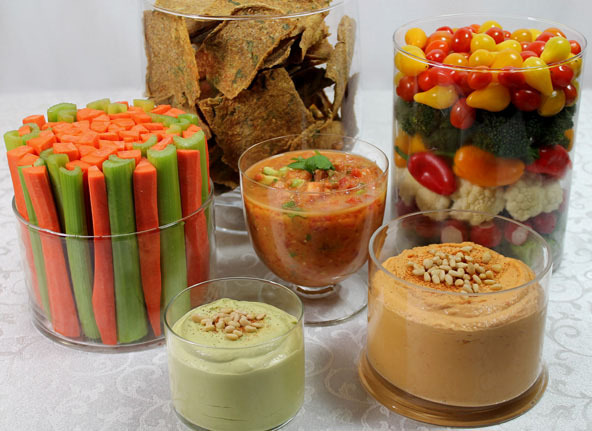 The green hummus with zucchini is explained in the Variations below. Can substitute yellow or orange bell pepper for the red. You can also use roasted red peppers but I personally like the simplicity and the healthful enzymes from the raw bell pepper. Can substitute squashes (raw) for the red bell pepper such as zucchini (will make it green as seen in the above photo) or yellow squash (a hint of yellow). Or jut make it plain as shown in the photo below. This is the plain version. I just left out the red bell pepper and as you can see it is a lot thicker without it.